The 8″ Samsung Galaxy Note 8 will join the Note 2, the 5″ device that has defined a new category of device.Launching the second quarter of the year for an as yet undisclosed price, the Note 8 will fill a gap between Samsung ‘s popular Note 2 and the larger Note 10.1. Following the success of Google’s Nexus 7 and Apple’s iPad Mini, Samsung had widely been expected to launch the new size, which runs Android Jelly Bean and features the S-Pen stylus and multi-window app support pioneered by its Samsung siblings. 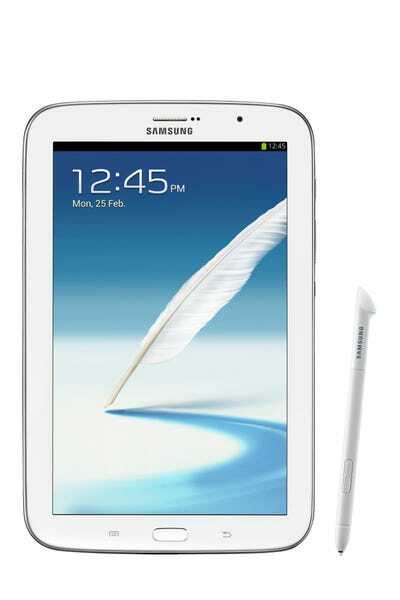 The new Galaxy Note was the original “phablet”, with a screen larger than a typical phone but smaller than a tablet. It was, however, defined by the S Pen stylus, allowing users to make notes and also offering handwriting recognition, and sales have surpassed original expectations. It’s various models have now sold well over 10million units. He conceded that when it was first launched, consumers didn’t immediately understand quite what it was for, however. “The Galaxy Note was a completely new category of device when we launched the first one back in 2011, and it’s been extremely satisfying to watch it sell so well and grow in stature as our customers’ understanding of the category has grown,” he said. Samsung has also updated its ChatOn instant messaging service, and it will include FlipBoard, the news reading app, and its Smart Remote TV controller app too. Announcing the device at Mobile World Congress in Barcelona, Samsung also said it would introduce a media server called the HomeSync Cloud. The Android device will feature a 1TB storage drive to allow streaming from a single hub to multiple devices.